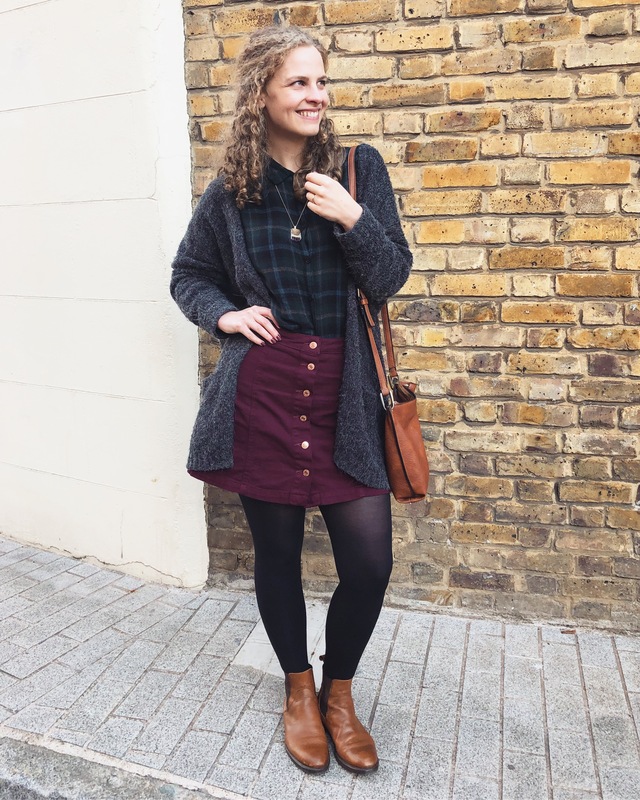 Recently I indulged my curiosity and paid (literally, haha) a visit to YesStyle.co.uk, a wonderful website where you can buy all kinds of beauty products. They’re mainly Asian ones from Korea and Japan, but I think the focus is just generally brands that are popular in these places, as brands like Clarins and Olay are on there too. Well, whatever their raison d’être, they’re amazing, and you get free shipping to the UK when you spend over £20. I would have been harder pressed to spend under £20! Here are my purchases – I cannot wait to tell you about the other two. 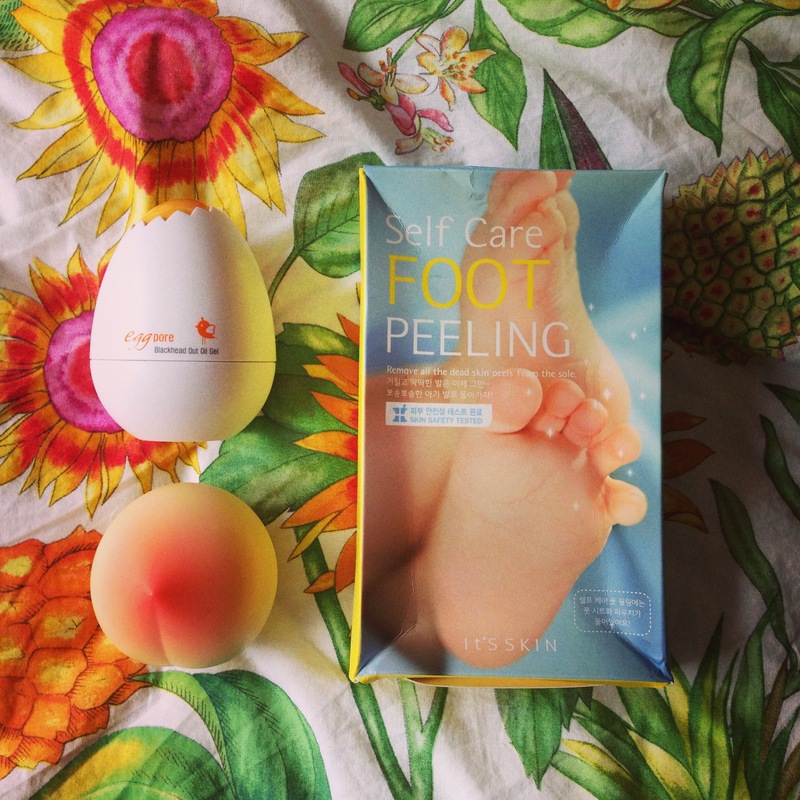 But first, the Its Skin Foot Peel. This thing. I mean, whatever crazy magic is in that box I don’t know, I really have no idea what it’s made out of that gives it the ability to do what it does. All I can say it that it is INCREDIBLE. Get yourself over to YesStyle.co.uk immediately and buy one. I can barely even think straight I’m so impressed. It’s unlike any other product I’ve ever used, because for the first few days (for me it was a week) NOTHING HAPPENS. Your feet look exactly the same. Then, all of a sudden, you’re shedding skin like a snake. I’ve seen photos of some people literally loose the dead skin in one go when using this. 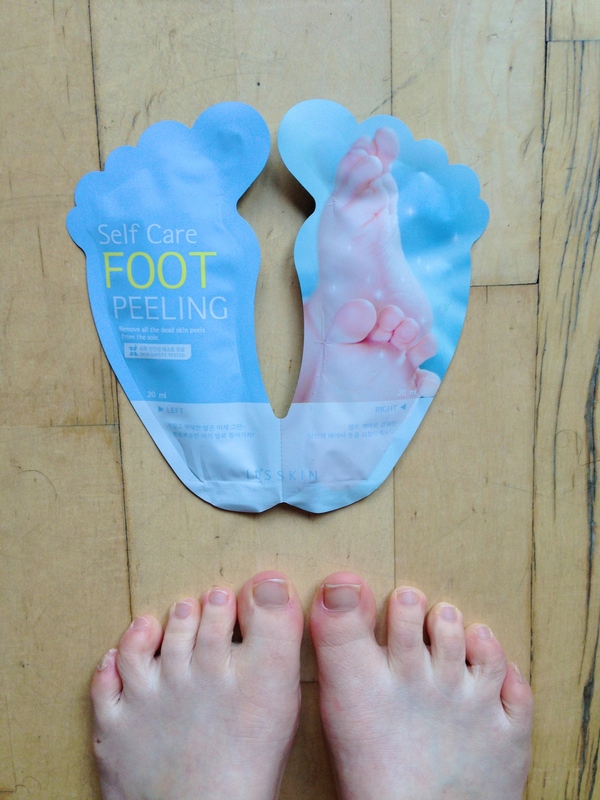 For me it flaked off instead, but still its incredible how much softer and smoother my feet are. They’re still flaking, but I couldn’t wait any longer to talk about it! It’s so weird, fun, disgusting and fascinating. The first thing you notice is how ludicrously adorable this is. I’m not sure how they got that baby to do that with its feet, but whatever. South Korea really knows what its doing, with its skincare and packaging, I’m telling you. They also really like to have special lightweight travel strollers for their babies, they often customize them themselves with art made at home. The only other thing in the box are these booties. I mean, its ridiculous, this whole process was a delight from start to finish. I get to wear BOOTIES for an hour and a half?! It’s Skin, I love you. 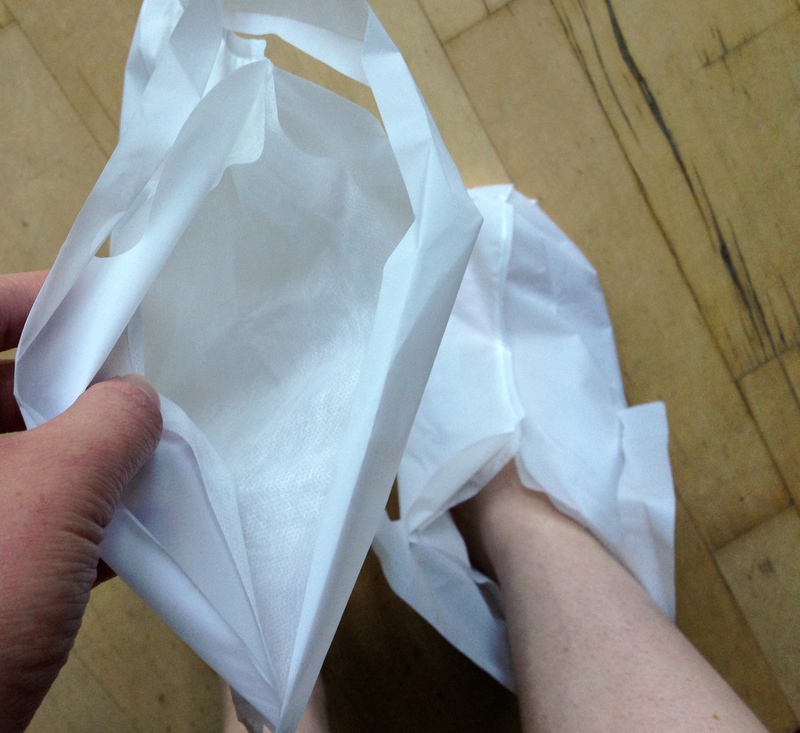 They have an absorbent paper lining which helps to hold the liquid onto your feet, and to stop it sloshing out. They also have ties which you do up after pouring the liquid in, so they don’t fall off if you have to walk about. I offer no apology for the sorry state of my leg/foot in this photo. Frankly, I’m about to link you to a picture of my peeling sole, so consider this your preparation. 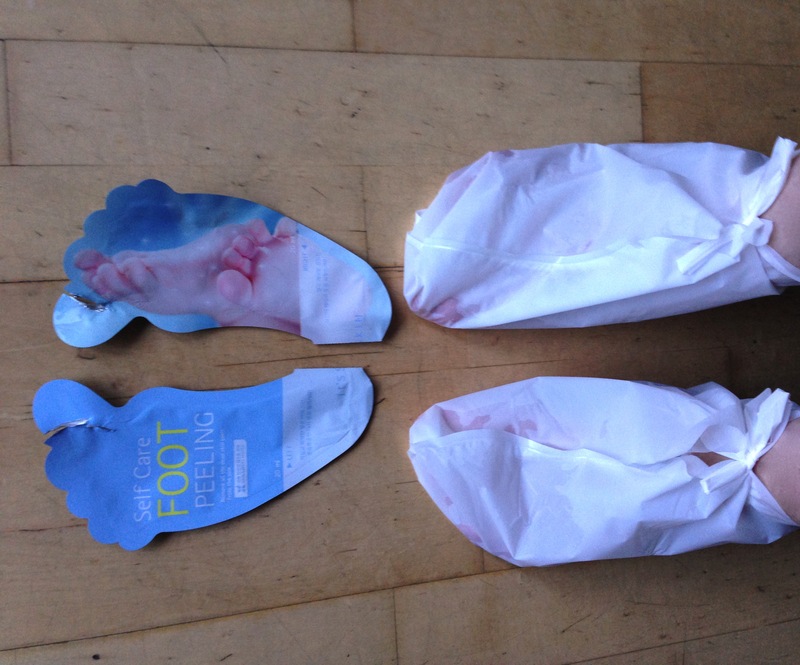 Anyway…you pour the liquid in, using one foot shaped sachet for each foot (funnily enough). I didn’t open them very well so the liquid spurted out a bit, but because I wasn’t 100% sure what it was made out of I didn’t want to use my scissors! That was probably silly, as I think its mainly fruit acids…so use scissors if you want. So there you are! That’s it for the next hour and a half. I settled in for three quarters of Pacific Rim, some Rosehip Tea and a bit of chocolate. If you’re super organised you could even do a face mask. I was wary of walking around in the booties, but actually if you tread carefully they’re surprisingly resilient – no leaks at all. When the hour and a half is up, you rinse your feet in warm water, pat dry, and leave them alone. You can expect the peeling to happen anywhere between four days and two weeks, and when it starts just be aware that you either have to have understanding housemates or wear socks ALL the time. It’d be like a gross version of Hansel and Gretal otherwise. One other tip I’ll give you DO NOT pull at any of your peeling skin. If you see something you think is a half-flake, and pull it, you’ll find that the bit that’s still attached is literally still part of your skin. Ouch. Want to see my feet two weeks after I used it? HERE YOU GO! That was about halfway through the peeling – they’re very soft now although lots of bits are still coming off and some more bits are just starting as well. I am besotted with this product, and its only £7 from YesStyle.co.uk! 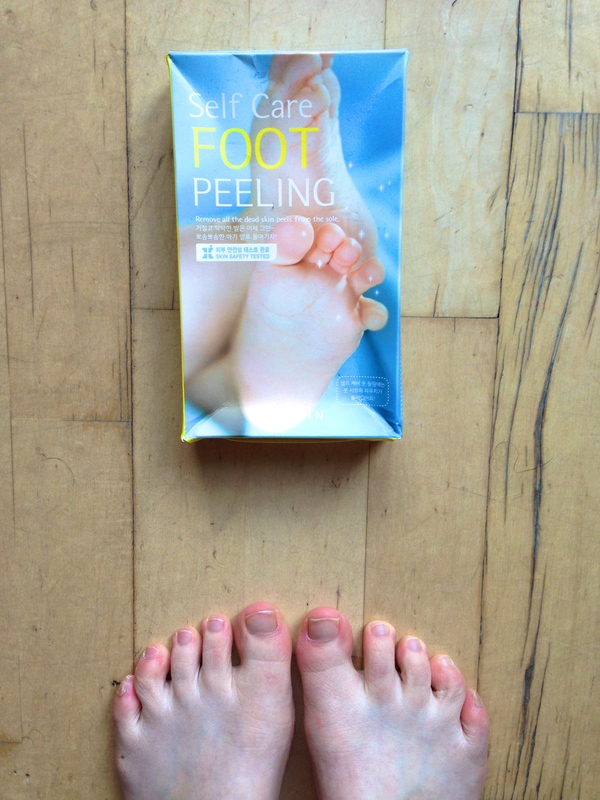 Give it a try, I’d love to know if you enjoy your gross foot peeling as much as I did.